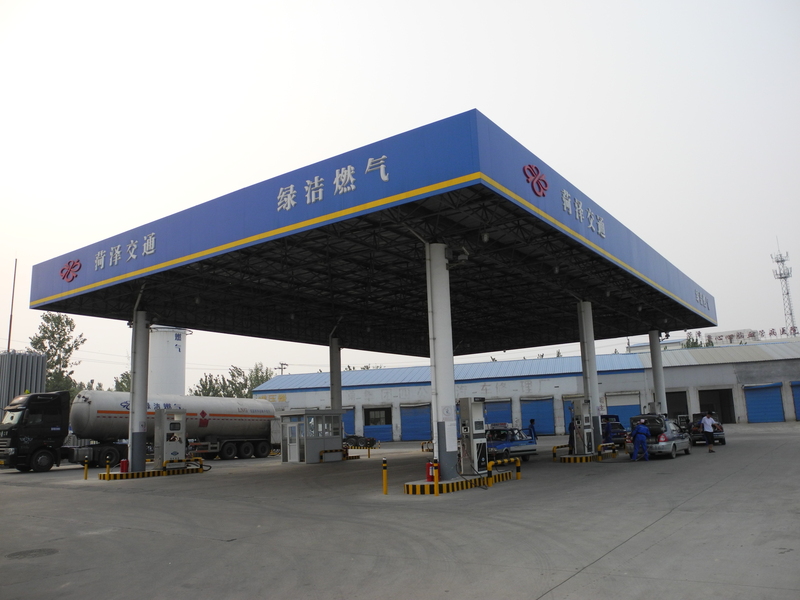 Heze Lujie Gas. Co., Ltd. The compressed natural gas (CNG) and the liquefied natural gas (LNG) are the two major forms of natural gas for vehicles/vessels. As the CNG has been applied earlier for vehicles, matured techniques are available now. In light of its obvious economic benefits and social benefits, it has been widely used on global basis for urban taxis, buses, and a portion of private cars. 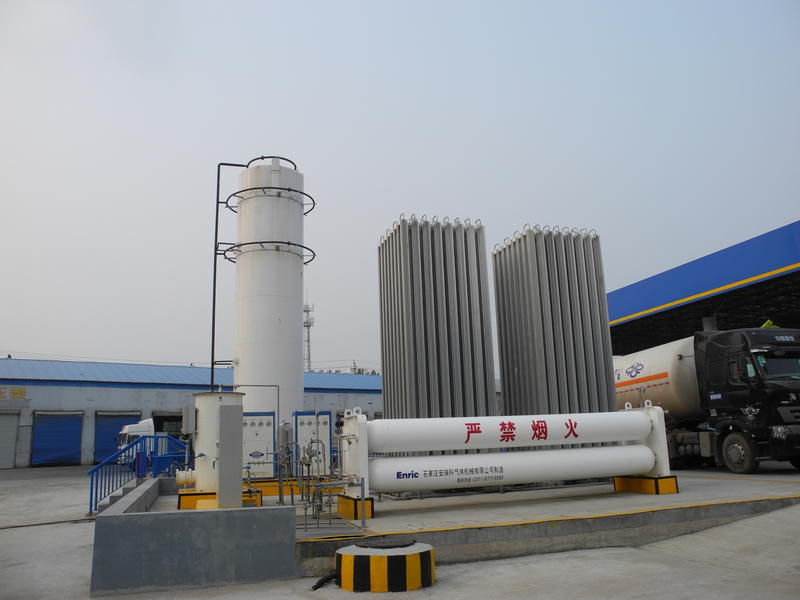 Following the advancement in the natural gas liquefaction technology and the automobile power conversion, the LNG is being used by long-distance trucks, passenger vehicles and buses gradually. In comparison to the CNG, the LNG allows greater storage of natural gas per unit and thus meets the requirements of long-distance vehicles for long-distance transportation. The techniques of the LNG for vessels are getting matured gradually. At present, its market is at the initial activation stage. On 4 August 2010, China's first LNG-Diesel dual-fuel tugboat passed the test of its launch for trial in Wuhan, which has proved its technical and economic feasibility. On 26 September 2013, “Hai Gang Xing No. 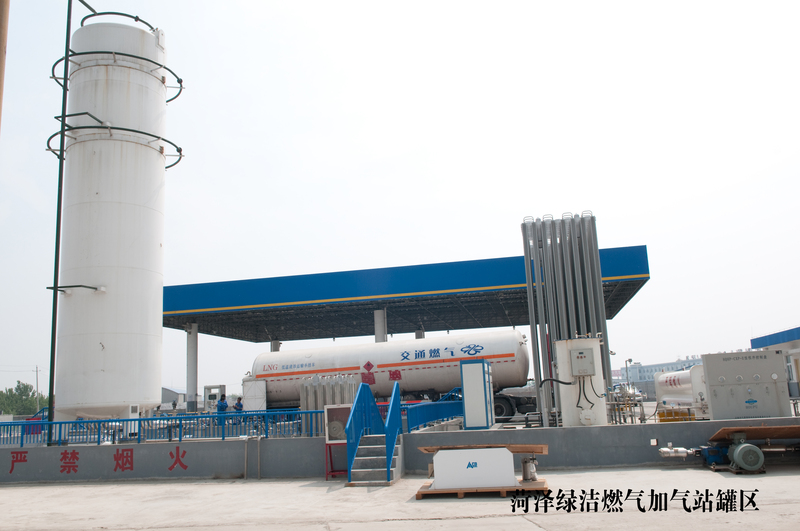 01”, the first marine LNG station in China, was launched for trial operation at Ba Gua Zhou in Nanjing, which is the sign that China's marine transport has entered the brand new “Natural Gas” era. Under the guidelines of the government's policy of “Saving Energy and Reducing Emission”, it will become a trend for the inland ships to undergo conversion for using LNG instead. 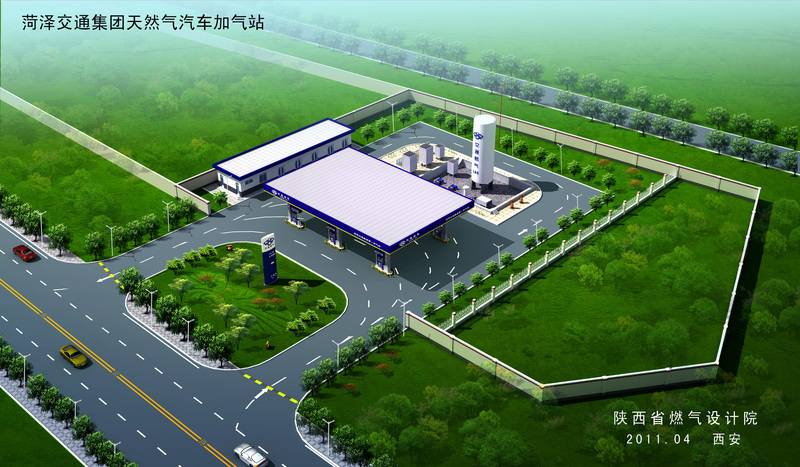 The LNG station for vessels is going to be the major development sector for the natural gas industry in future. According to estimation, the cost of using the natural gas is one-third less than that of using gasoline or diesel. The complete combustion of the natural gas generates neither tar nor carbon deposit. Moreover, as it is in the gaseous state, the lubricant oil will not be diluted, which ensures steady operation for combustion with low noises to reduce air lock and knocking, and thus extends the lifespan of the engines by 2~3 times. The mileage for the overhaul interval is extended by 20,000 km~25,000 km. The annual costs of repair and maintenance are reduced by more than 50%. It has good economic benefits. 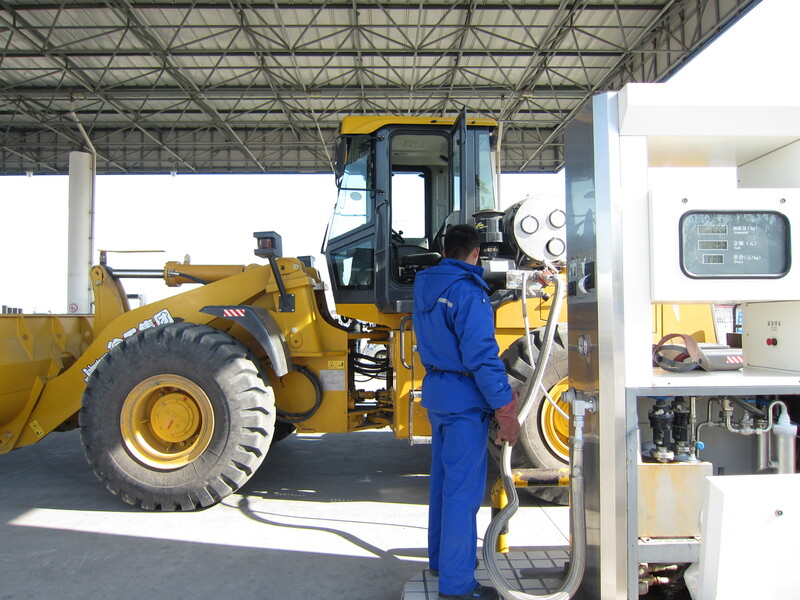 Storage tanks of LNG for vehicles/vessels are thicker and more rigid with higher safety coefficients than those of the gasoline or diesel tanks. Being non-poisonous, easy to disperse, lighter than the air and not easy to turn into the explosive gas by means of accumulation, it is a safer fuel gas compared to gasoline and diesel. The natural gas is a clean energy with complete combustion. Its emission comprises water and carbon dioxide. Therefore, the pollutants emitted are reduced by approximately 80%, compared to the fuel oils for vehicles/vessels. Current automobile techniques for using the natural gas have become very much matured. The vehicle gas stations are having vigorous development. The gas refueling for vessels has undergone the breakthrough development as well. The convenience of using the natural gas for vehicles/vessels keeps growing.